this doesnt stop players using 5 alts to cover there bases with plats. the alts have no infamy which mean hitting the plats gains you nothing. This 5 min and now 10 min is going to drive players away from pvp. There's no reason for mid lv (40-45) to pop. If your base has just been destroyed your nothing but a sitting duck and now i have a 36 hour wait to hit again. 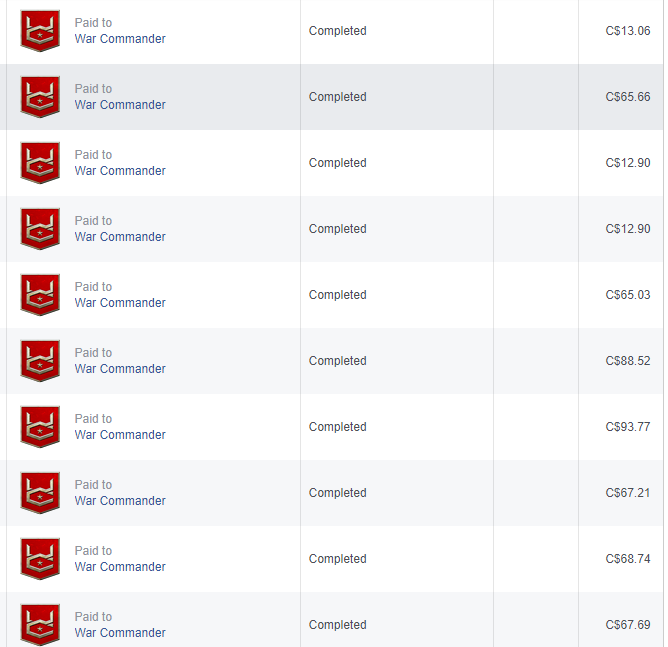 Nice to know that platoon battles matter again.I have a few suggestions if you are willing to look it up. 1.The C/D for Toon Hitting should increase by 4 minutes everytime a players attacks a platoon,like at first is 4 minutes,after hit it increases to 8 mins,capping out to 20 minutes per toon hit (can be adjusted).This will prevent players who is exploiting this feature,forcing them to hit players bases rather than only toons to get infamy. 2.The infamy drop rate by hitting toons is 0.5% (can be adjusted) of the platoon owner's current infamy.Like if the owner has 1000 Infamy,the attacker gains 5 infamy for 1 platoon the attacked successfully attacked. Lol toons FIghts and getting inf is total kids idea. Many PLayers leaving the game or only farming what kixeye wanted from players. cool down time or other is also not working base getting more and more inf loss. But good is kixeye making step for players to say game bye soonn. inf loss from clan mates is working and only tht is appreciated. Rest is all game stratgegy shd allow freely to do. We lose infamy if retreating platoons, can that be changed so we still can use platoons around our base as a early warning system to protect our base. I understand the concept, but who was the dumb-**** that thought THIS was a good idea?? You have basically removed Infamy from being a sought after element to the game. There are so many intelligent ways to have done this.... Hire people with brains!! your 10 minute countdown means the hacks who have instant repairs running rule this game, I can no longer break my bubble to hit someone trying to get on a friends base because now for a full 10 minutes Ill be raped of any gains I've made by enemy swamping my base and hit end, hit end, hit end, for a full 10 minutes before I get any sort of protection. I may as well throw in the towel now, drop my tag and tell my sector to fend for yourselves, Ill not be popping for anyone. lol who came up with the idea that 5 mins was not enough? its a crazy idea at 5 mins. in my sector the only 1s who are popping are the blantant cheaters, we have 1 player hitting 2 bases at the same time with the same toons/air with 50 toons around his base. If we fight our way through them toons and get to his base then manage to flat him we will get 130 infamy max, in the time we have done that he has flattern us and his minis have also run over us 5 times, now you increase that to 10 mins it will be 7/8 times so for me to gain 130 infamy i have to lose 800/900? noone is going to do that. The main reason why the Dropships was removed from the Gear Store was due to players exploiting the Spec Ops in order to create impenetrable barriers of protection or jails around player bases. Before the Dropship has a chance to return, the ability to perform this exploit has to be removed or it would just cause the same mistake to get repeated once again. 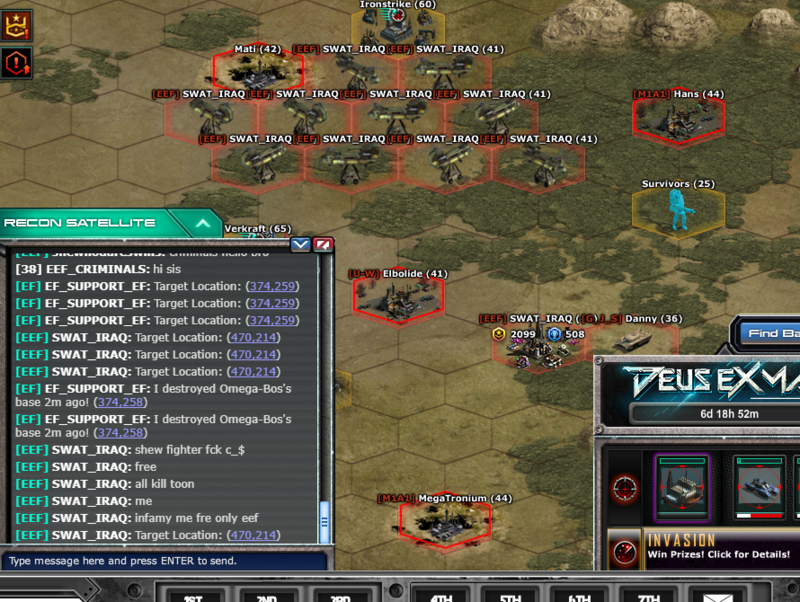 we all know by now that even lower levels have also good platoons that can defend their base. This was poorly implemented and absolutely ridiculous. Those involved in this need to be fired on the spot. Instead of actually asiking players to get their perspective this absolute garbage got put into effect. Yes you heard me garbage. There's plenty of reasons why this was poorly done. Lag is one of those, going to attack a toon or defending has brought an increase of the loading.....loading.......Which was supposedly a known issue and was supposed to be fixed yet it hasn't. Being able to surprise enemies by voluntarily leaving bubble was a good way to surprise them when they believed you were either done for the day or weren't going to attack. Yet, surprised enemy base being attacked. Oh wait now you can't be bubbled again you are open for a full 10 minutes where enemies can take as many turns as they want bleeding the infamy away. I fail to see the positives in the move. Also, with the ability to get infamy off defeating toons has defeated the purpose of base toons in front and to even conisder defending base. You'd think Kixeye would have been able to brainstorm better ideas than this. Absolutely terrible execution, terrible implementation and again more technical issues. So, no this is not a good thing, it's an incredibly poor idea. Cause what do enemies do now? Remove tag, hit their own clan member and bubble them before you can defend sector anyways. I want to reiterate the point these changes are purely stupid. GoldenDoodle I urge you to resign your role at WC if you think that this was beneficial and helped the game. It has made it intolerable. One last thing this doesn't take a rocket scientist to figure out. The easiest way to bypass the issue of self bubbling is to either remove tag which has happened or to have tags that look similar to their own, so regardless can still be bubbled yet do not have to lose much infamy with a 1 or 2 star. Again proving that this implementation was an absolute joke. If we are stuck with this game change you should at least adjust the toon infamy to a flat rate...like 25 infamy or something....a hundred infamy for a buggy is absolutely outrageous.....I hope you guys are listening to the players...we do not want this! Well I,ve never and will never do a 69. No skill it that. Just cowards way to play. But your resent changes have just made it worse. Now they get there friends to bubble them with out tag. You,ve done well in pushing us once big coiners away from coining. The offenders are so worried about the loss of there infamy. Do some thing bout that. Just an IDEA. If Player A gets hit by an enemy base. Then see to it that player B ie enemy cant be hit till player A is bubbled, at this point Player B,s friends toons would of been cleared from his base and Player A or allies can get there attack in on player B. Make the jump increase to 15 mins. An if Player B,s base was hit striaght away by player A after player A,s base was bubbled then Double the amount of infamy that player A gets back. I am gonna crazy now......LOL. Why is that making too much crazy about this? Just make disable to attack same tag or alliance mate. 2) It should be disabled that 2 players are getting attack each other at the same time, either enemy or friend doesn't matter. Those who got defense first should wait till the end of defending/attacking. So I think there will no more 69ing. 3) There should not have the option for leaving button from battle field once the attacker and defender enter the battle screen/field. It means that no one should leave the attack or defense and engage other attack at the same time. Once it enter the battle field they should wait till the end of the battle or retreat for platoon battle. Now the problem is Kixeye developer can coding the above task is exactly or not?????? $50 a year...I spent thousand and thousands of dollars on this game. All the changes doesn't make since...I had to bubble someone twice to get them flat. Then they flatted me twice and I got a bubble...too much infamy was lost. I am very upset about the changes and others are right you can get bubbled many times if you bubble someone...why bubble anyone? Look how much infamy others lost being opened. I also heard wc will only be on for 1 year and the game will be shut down...so go ahead and screw all.